Difficulty of achieving a good night’s sleep is not uncommon amongst patients who have just recently undergone surgery. Read the article below to know just how close and complex the relationship between pain and poor sleep can be. Anyone who has ever struggled for sleep while recovering from injury or surgery knows that pain can ruin a good night’s rest. People who suffer from chronic pain know it all too well. But fewer people may know that the relationship between sleep and pain seems to go both ways. “People who have pain have more sleep problems, but people who have sleep problems also have more pain,” says Daniel Clauw, a rheumatologist who directs a chronic pain and fatigue research center at the University of Michigan. Clinical, Spiritual or Stage Hypnosis? These are accurate definitions of the different genres of hypnosis. I enjoyed reading this blog. What’s the difference? Isn’t it all Hypnosis? Well, yes …. and no….. Clinical Hypnotherapy is just that… Therapy. It is usually related to an ailment such as Irritable Bowel Syndrome, Migraine or an anxiety or an unwanted behaviour, such as smoking or weight issues and has a therapeutic outcome. A client can also be induced into a very deep trance state which enables surgery and is being used more as a drug free alternative in childbirth. Spiritual Hypnotherapy can also have a therapeutic outcome, especially if a client’s current symptoms can be relieved by past life or lives between lives regression. Is it real? Is it a metaphor? For some people it is very real and the life described has been authenticated. A search on YouTube will enable you to watch some Past Life documentaries, where children have been able to describe their previous lives with uncanny accuracy. 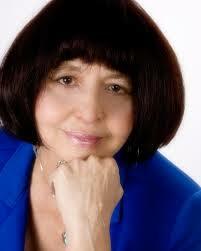 Medical Hypnosis Dr. Maryanna Polukhin M.D. Dr. Polukhin discusses medical hypnosis, it’s benefits and how she uses clinical hypnotherapy with her patients. Every night while we are sleeping, our dreams are having their own secret life. Dreams serve many functions which support our waking lives: they allow our mind to sort and file data that has been acquired during the day and to release any emotional tension that has not been processed. Dreams are doorways to the subconscious and help us to see how we really feel about our lives. Our dreams tell us the truth about ourselves. They are an expression of our true sense of our self. The average adult dreams from three to five times during eight hours of sleep. The dreams occur roughly every 90 to 100 minutes and last from 5 to 30 minutes each. During the dream state, the pathways that carry nerve impulses from the brain to the muscles are blocked. Therefore, the body cannot move while in a dream state. At the same time, the cerebral cortex—the part of the brain involved in higher functions—is extremely active. It is known that the cortex is stimulated by neurons that carry impulses from the brain stem. There is a lot of emotional content in our dreams. Unresolved conflicts, concerns about performance, and feelings about people and situations are played out in the dream world. Dreaming seems to provide a means of releasing tension and anxieties that we unconsciously suppress during our waking lives. It is much healthier to express the content of the dreams rather than to repress them. In the process of becoming whole, dreams of violence, murder, even death, are all ways in which our subconscious is allowing a milieu of thoughts, feelings and impressions to escape our busy minds. Dreams give us release from our inner conflicts and insight into our personal potential and promise. Dreaming is a process and the dream is a creation produced by our minds to create harmony in our lives. During our waking life we are always receiving clues and insights from our Inner Self, but we are usually too busy to pay attention. We are too busy, too distracted–too caught in our lives– to hear important messages that come from inside. In our conscious waking life we are not always open to the messages. We may also be unwilling to look at what is really happening with our lives. It is during the dream state that this information is often revealed. Dreams are also direct routes into our Higher Consciousness/Inner Selves. Dreams may contain the most direct spiritual teaching we can receive. Every dream we have relates directly to some facet of our life. In one sense the dream world is as real as waking, and we are not consciously editing the information. It comes through whether we like it or not, whether we invite it or not. It is important to remember our being is more than just a physical body. Our being contains our spiritual self—our truth, our souls. Our dream world can frequently reveal this to us better than our waking life. Our lives contain lessons for our souls and in some senses the dream world can provide learning experiences that more directly involve our souls. This has a lot to do with the integration of the various aspects of ourselves. Sometimes these parts are cut off from our waking consciousness. By making the separate parts of ourselves one, dreams become an essential step in the process of our becoming whole, healthy people. Go to bed early… Don’t get overtired before going to sleep. Review and process your day—clear your mind. Keep a Dreamwork journal and writing materials by your bed. Lie still when you first wake up, reviewing your dreams. Record everything you remember, including how you felt. Use your intuition to relate your dreams to your life. Discuss your dreams with someone else. In talking about the dream you will remember new things. There is much talk about this new procedure and how it compares to the surgical Gastric Bypass. I found this article very interesting as it takes you through each step of the procedure what happens before, during, and after.